I am not a king, and our race was far from the deep woods of nature. Yet, I felt a bit like we “Fergus’” (the boys and I) were leading the young men and women of my family into the unknown. 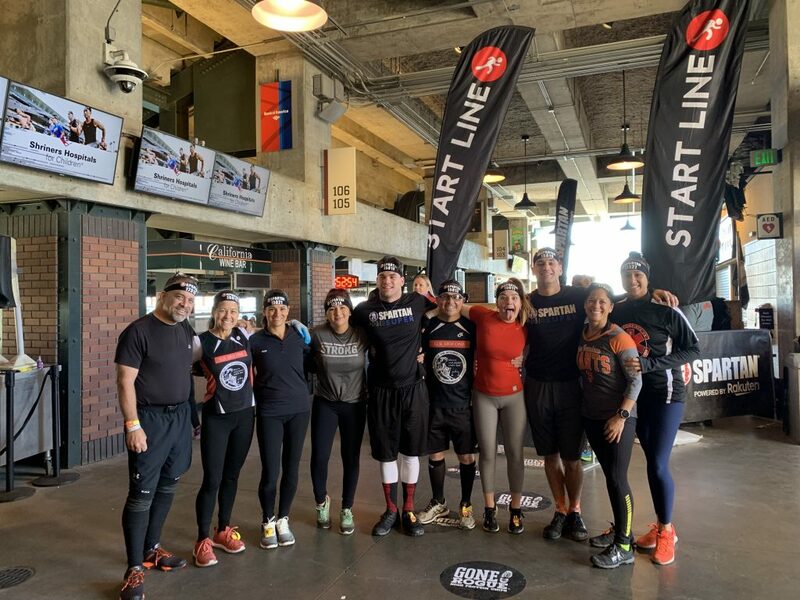 Six months earlier, I had sent out the invitation to my brother and sisters encouraging them to join us at the Spartan Stadium Race at AT&T Park. It would require a little preparation, a sense of adventure, and a bit of teamwork to emerge victoriously. I had no doubt that we could do it. During the passing months, I periodically sent out reminders to Spartan Up with whatever means possible. 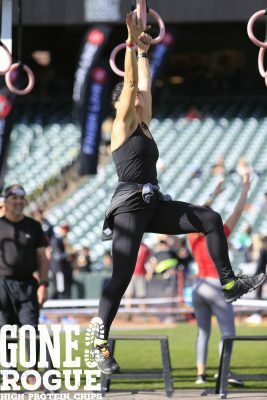 Lift, plank, pull, climb, crawl, throw, carry, push… The race was sure to be fun, but it would be a lot more fun if these movements were practiced. By the time our race rolled around, everyone seemed pretty psyched about the race, including Big Sis (although she was sure someone was going to get hurt). We gathered around the wall leading the starting line where they all got a taste of the experience yet to come. We hopped/crawled over one at a time then turned back to encourage our teammates to follow suit. 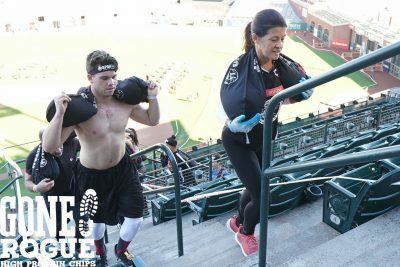 Soon, we were off and running towards the first of many obstacles, the military hurdles, then up the bleachers. The atlas carry was a little different. In place of the round ball of cement, the weight was covered a rubbery coating with a gelatinous-like layer between the rubber and the atlas. The weight felt much heavier than in other races and left me feeling like I might have been wrong in my insistence that the race would be a “fun run” for all. 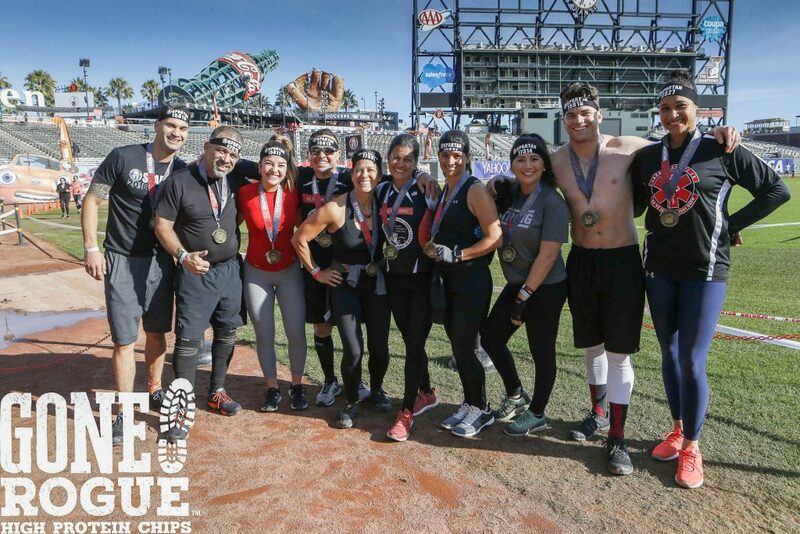 We continued onward to walls, box jumps, hand-release pushups, bear crawls, spear throw, more walls, more bear crawls…. And lots up running up, down, and across the stadium seats. As the race wore on, we seemed to come together as a family and team. Pretty much staying together through the run, we regrouped at each obstacle to observe, watch, encourage and/or help one another get through it. We got to witness the little victories of one another such as my brother getting over the 8’ foot wall on his own, my niece overcoming the rope climb, Big Sis overcoming the hurc-hoist, and me getting across the multi-rig (rings only) for the first time. We did indeed emerge victorious and it was beautiful.